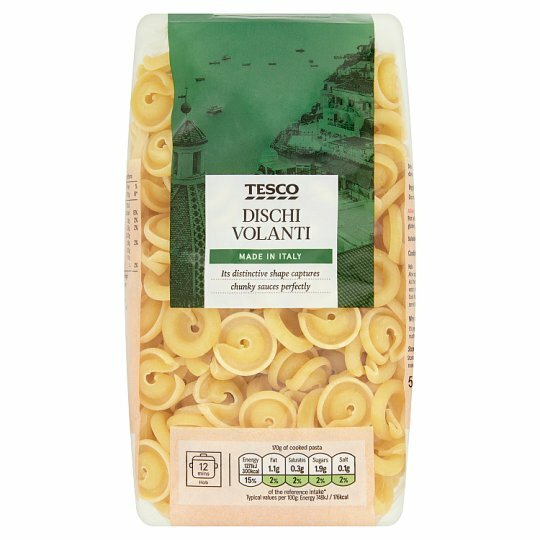 Dried dischi volanti pasta made from durum wheat semolina. Store in a cool, dry place. Once opened, reseal using tab or place in an airtight container. Instructions: Allow approximately 75g of pasta per person.